Take US-27 north out of Moore Haven and it won't be many miles before you come to Palmdale, a sign on the road, and a little bit further is the road that leads west to Old Venus. 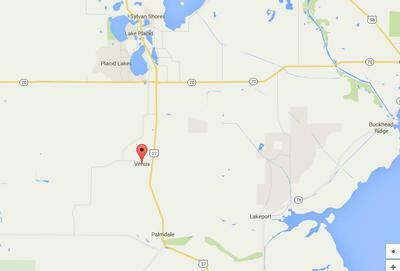 Venus is a place name on the Florida map about an hour's drive east of Fort Myers or Punta Gorda. Most folks in this part of Florida call it Old Venus, but I don't know why. Maybe there was a Venus that burned down and was replaced by a New Venus, and the former town was referred to as Old Venus. It will take a true historian to solve that riddle. There isn't much to see in Old Venus these days. A couple of weathered old Florida cracker houses, a shed or two, and the silence I've only known in the great Florida wilderness. In Old Venus, the only sounds are the wind rustling through the palms and pines, and the singing of the birds. There is still a lot of this old Florida wilderness around, but one has to get away from the coasts to find it. I don't imagine Old Venus was ever a very large town. It was probably just another of Florida's forgotten places, maybe a sawmill town that existed only long enough for the lumbermen to exhaust the then seemingly inexhaustible stands of pine and cypress that filled this area on the western edge of the Everglades. A couple of people still live in Old Venus, but the place is as quiet as a cemetery. It is a reminder of the Florida that intrigued me back in 1960 when I first arrived in the Sunshine State. Old Venus is north of Palmdale, about 3 miles west of US Highway 27. Palmdale is a spot in the woods with a few scattered homes. The area is north of Labelle, via State Road 29, and north of Moore Haven via US Highway 27. This lonely place is in the heart of the vast land holdings of Lykes Brothers, one of Florida's pioneer and still active agricultural giants. My late husband James l Schneider, Alicia Schneider, 2000,had 200 acres in Venus, Someone stole, in a VERY illegal way my properties. Do you REMEMBER ME! !KEY West Florida State court house. Everything WAS done VERY illegal, DON'T FORGET ABOUT the FRAUD, I was 100% disable, under medications,!! God bless you!! I lived in Venus for 15 years. Left in August of 1972. Lived at the very end of Graham's Dairy Road. My father was the manager of the Graham ranch and my mother drove the school bus for seven of those 15 years. Remember the Pearce, Sullivan, Wilson, Shirley, Hargrove, and Coulter families of Venus. When I was there we only had one store/gas station and a post office, restaurant and gas station combination. The latter one sold Sinclair gasoline. It was originally named the Venus trail. Old timers rode it from towns out west near Arcadia... to Palmdale area. 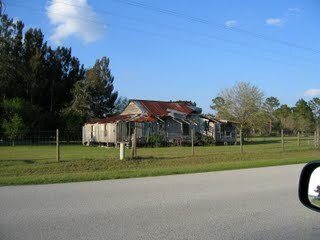 In the mid 1940's the upper half of the home that stood on the corner of 17 (Deujtjen's Dairy Rd) was moved out to US 27. The old concrete curb is still there on that corner.It was once owned by Jim Brate. I worked on the house in the mid 1980's. Our family moved to Venus in 1979 on East Gould Rd. We were Old South Auto's neighbors for years. We built our home on the ridge and lived there till 1998. I traveled all over that area for years collecting every spec of anything I could find. There aren't too many that know or remember the way Venus was even back in the late 1970 like I might. I got to know all the old timers of the time. MY mom was born here so we would go to Fisheating Creek. Lots of family buried behind the church. My husband used to visit his childhood friend Ronnie - and his parents, who lived at Fish Eating Creek for years. We would turn off US27 and then after a few miles, pass by Venus. I had the impression of silence and a silvered wood building, quickly left in the rear-view mirror and then we would near The Creek and a home that held a lot of love and good memories for my husband. So much so that he made a special visit when our girls were very young to introduce them to the family of his childhood memories and the special bond he felt to the boy he was friends with from an early age. They say you can't go home again but that was as close as he ever got to reliving boyhood memories and dreams... at Fish Eating Creek, past Venus. Venus, No it's not a town in the way we think of towns today. It is a piece of this state that has been left untouched for the most part and that is something hard to find nowadays. Quiet and peaceful, where a good number of people know each other and the neighbors help one another. Got to love it. I hope it stays that way. There aren't too many places like it that haven't been swallowed up in the "progress" of the past few decades. Venus and Old Venus are on Highlands County Road 731 about 8.3 miles north of Palmdale on US-27. CR-731 goes west from US-27 about 1.2 miles to what was the location of Venus, a little settlement that was on the railroad. Keeping going another 2.3 miles on CR-731 and you will come to what was the location of Old Venus. Old Venus was located at the intersection of County Roads 731 and 17. Old Venus is about 9 miles south of SR-70.